Anthony Hoffman, Collin McMillan, Tijana Milenkovic and Fabio Semperlotti are among the 146 scholars across the country who received this highest honor given by the U.S. government to young faculty in engineering and science. 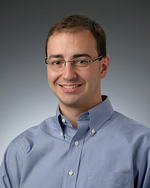 Hoffman, an assistant professor in the Department of Electrical Engineering, was honored for his proposal titled, “Mid-Infrared Intersubband Polaritronics,” which focuses on developing new optical devices using quantum engineering. He and his team are investigating the interactions between light and the extremely thin layers of semiconductors to provide more sensitive imaging and detection for applications in medicine, industry and homeland security. In addition to this foundational research that aims to develop a new set of tools for optoelectronic devices that incorporate strong light-matter interactions, Hoffman and his team will be developing and hosting a series of engineering days for local school children that are built around hands-on optics-based experiments to promote science, technology, engineering and mathematics. 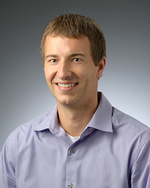 An assistant professor in the Department of Computer Science and Engineering, McMillan’s CAREER project, “Understanding Program Comprehension for Automated Software Documentation Generation,” targets the “concept assignment problem” in program comprehension. As they study the process that programmers follow when reading source code to write documentation, McMillan and his team will also develop algorithms to mimic that process. The algorithms will then be integrated with novel natural language generation systems to create descriptions of software behavior. A key outcome of this project will be to increase workforce participation in the industry by people with visual disabilities. It will also be used to develop an outreach program for state K-12 schools for the blind and visually impaired to prepare students for careers in software development. McMillan joined the University in 2012. 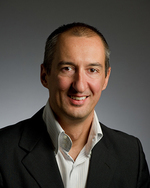 He earned his doctorate and master’s from the College of William & Mary in 2012 and 2009, respectively. He received his bachelor’s degree in computer science from the University of Tulsa in 2007. Milenkovic, an assistant professor in the Department of Computer Science and Engineering, received the CAREER award for her project, “Novel Algorithms for Dynamic Network Analysis in Computational Biology.” Through this project, Milenkovic will develop novel computational strategies for both inference and analysis of dynamic biological networks, which will likely advance understanding of cellular functioning and molecular causes of disease compared to traditional static biological network research. Dynamic analyses of biological networks have applications of societal importance, such as studying cellular changes with disease progression, drug treatment or age, which Milenkovic will explore. Thus, her CAREER project could contribute to global health. Educational activities that will grow out of this project include the development of new curriculum, career mentoring and community outreach activities to K-12 students that focuses on attracting women to and retaining them in the field of computer science and engineering. 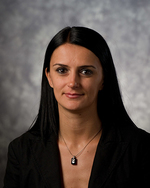 Milenkovic, who joined the Notre Dame faculty in 2010, earned her bachelor’s degree in electrical engineering from the University of Sarajevo in 2005, her master’s degree in computer science from the University of California at Irvine (UCI) in 2008, and her doctorate degree, also in computer science, from UCI in 2010. Semperlotti, an adjunct assistant professor in the Department of Aerospace and Mechanical Engineering, will be working to advance non-destructive/non-intrusive imaging techniques for structural health monitoring through his project titled, “Multi-Physics Transient Holography: A Non-Intrusive Imaging Approach for the Identification of Structural Damage in Mechanical Systems.” He and his team will be exploring a new concept in imaging that leverages multiple principles that currently exist in imaging technologies — from the mechanical to thermal to the electromagnetic fields — to achieve unprecedented sensitivity and image resolution, in essence creating a holographic framework. By establishing new collaborations with the South Bend Community School Corp., Semperlotti will develop a four-year-long program in “Math and Wave Engineering” that targets high school students and teachers and includes real-world applications to civil and aerospace systems. Three faculty members who joined Notre Dame this year — Mark Behrens, John and Margaret McAndrews Chair and professor of mathematics; Jon Camden, associate professor of chemistry and biochemistry; and Chaoli Wang, associate professor of computer science and engineering — all bring with them Early CAREER Awards they received while at their previous institutions.